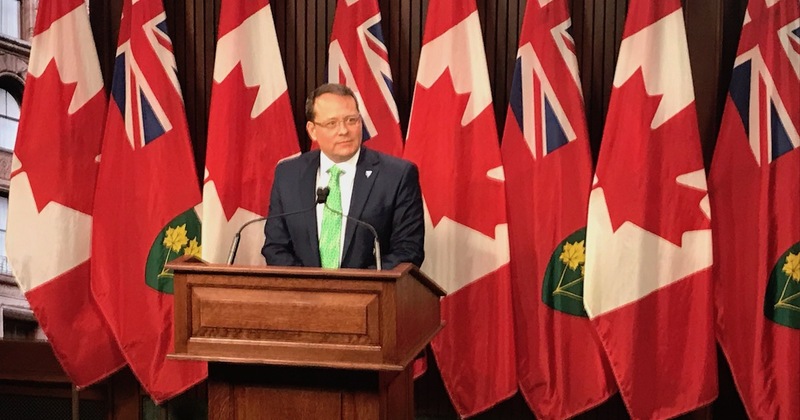 Green Party of Ontario leader and Guelph MPP, Mike Schreiner, released the following open letter to Minister Phillips today, as the Green Party released a comprehensive strategy for reducing emissions. 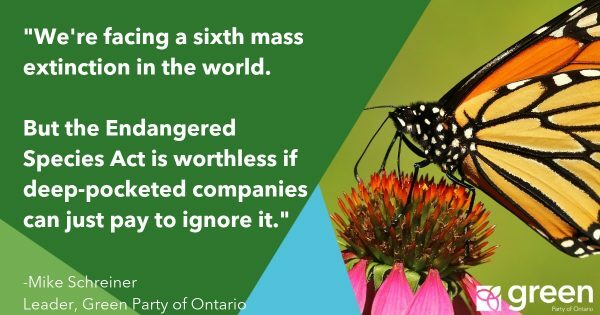 It is time to tell the people of Ontario what you will do to address the climate crisis, instead of focusing on what you won’t do. 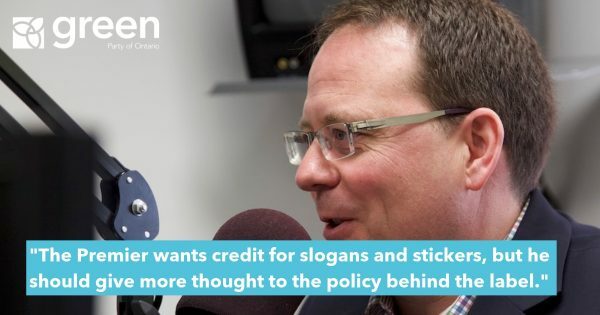 The people of Ontario are problem solvers, not problem deniers. It’s been over five months since your government was elected and you have yet to release a plan to tackle the greatest crisis facing humanity. At the same time, you have dismantled every single piece of climate action the province has in place. While we wait, climate impacts escalate. In just the first nine months of 2018 alone, Ontarians have experienced $1.2 billion in insured losses due to extreme weather events caused by climate change. The evidence is in. The latest IPCC report says that we have just a few years to drastically reduce pollution before unleashing climate catastrophe. The opportunities for us to reduce emissions and drive our economy forward are right in front of us. Costs for renewable energy are plummeting, for example. The global clean economy is worth $26 trillion and creates jobs. I urge you once again to consider what’s best for our economy and environment. I remain committed to working with you, along with all parties, to deliver solutions for the people of Ontario. I am sharing with you the Green Party of Ontario’s strategy for reducing GHG pollution. We are more concerned with seeing concrete action than worrying about which party gets credit; this is an urgent crisis. So I urge you to use any or all of the fifty ideas in our strategy document, You can find even more solutions in our Green Vision Book at www.gpo.ca/vision. In my view, there are five principles that any credible pollution reduction strategy must have: Science-based commitments; Binding emissions targets; Pollution pricing; Job creation; and Energy efficiency and conservation. These are the starting points. Most importantly, I urge you to end the spin on pollution pricing. It is time to put evidence before political games. Pollution pricing works. It is compatible with conservative ideology. And it was the policy of your party just 12 months ago. Minister, I implore you to stop playing politics with the biggest crisis we face. The Green Party’s carbon fee and dividend proposal would put a price on pollution and return all of the revenues to citizens. It’s basic economics. Industry would have the incentive to shift to low-carbon alternatives, while people would recover the revenue to invest in more energy savings and afford the transition to a clean economy. Pollution pricing is essential, but we need to do so much more. Our strategy has a range of measures to save money through energy efficiency and conservation; to modernize our transit system and electricity grid; and to create tens of thousands of jobs in the clean economy. I encourage you to see climate action as an opportunity to make Ontario more resilient and to adapt to a global transition that is happening whether we resist it or not. The jobs of today and tomorrow are green jobs. Today’s low cost energy is clean energy. Tomorrow’s homes and buildings are energy efficient. Tomorrow’s vehicles are electric. 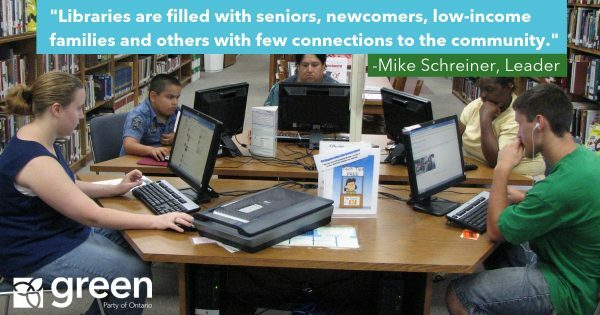 Let’s turn towards opportunities for new prosperity, not away from them. Once again, I extend my hand offering to work with you on climate change solutions so that Ontario can be on the right side of history, so that we can do our part in leaving a liveable planet for our children, grandchildren and the next seven generations.